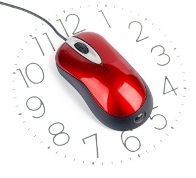 Q n A: How Much Time is Required Daily or Weekly for Online Business? The beautiful thing about online business is that you can do it at your own pace and most of the systems can be automated such that once you have properly set them up, you do not need to monitor them all the time. This leaves you with ample time for other activities. If you are a worker then online business can be an ideal source of extra income. You can do it part time in your spare time and still go to work on your regular job. Setting up an online business could takes anything from 30 hours to 100 hours in total. The most difficult part of the business is usually at the beginning while setting up the necessary systems. The more experienced and skilled you are, the less time it will take you to set up. Once set up, many online businesses will run virtually on their own and generate money automatically without need for constant input from you. If done properly, most of them will demand no more than 4 or 5 hours of your time weekly. If you are doing many different businesses, you may or may not require more time to monitor them depending on which strategies you are using and your skill level and experience. It is also important to point out that even at this level, the more hours you can put in, the more you will get done and the more systems you can set up. What some gurus do at this point is to start outsourcing the work i.e hiring people to do the work for them. But take note that the above only applies if you already know what you are doing, that is you have already learnt everything. While in the learning stage, you will need to put in more time. We have noticed among our MOB students that it takes them an average of 3 months of average 4 to 5 hours a day to learn. After that you can then think of setting up the systems. But you can’t set up the systems if you haven’t learnt what you need to learn. Many of the skills are easy to learn. The more experience you have with the tools and strategies, the less time you will require on an ongoing basis. If you are a newbie, then the first thing you should do is learn and practice. Try to become familiar with the concepts and techniques. This may take you a few weeks depending on how much you already know but once you can master the necessary skills, the sky is the limit. ‹ Q n A: Do I Need to be a Computer Wizard and Know How to Design a Website before I can Start Online Business?